Initially a market garden for Westminster Abbey, and then for the British Monarchy, Covent Garden has a history of growing and selling natural produce, reflected in its remaining architecture even if not the nature of commerce there today.Whilst the fruit and vegetable trading New Covent Garden Market lives in Nine Elms near Vauxhall today, the former market buildings on their opulent plaza remain at the heart of this central London area. 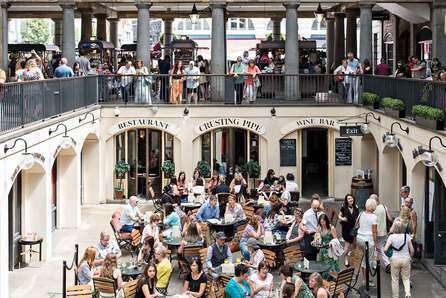 Now heavily pedestrianised Covent Garden is a popular place to explore, shop, visit a museum or two, and eat and drink.Covent Garden is also at the heart of London’s famous West End, and is the location of more than a dozen theatres, including the magnificent Royal Opera House, drawing crowds of drama and musical fans every day. Spend your well deserved lunch break doing anything from a spin class or personal training session to swimming and running. Or, take a moment to sit back and relax and watch the world go by. 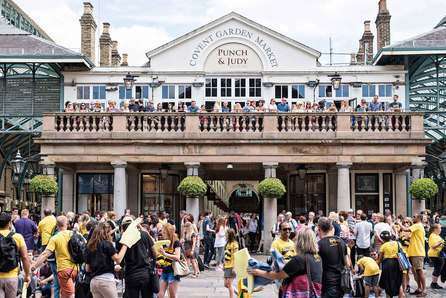 Once associated with the Central Square fruit and vegetable market, Covent Garden is now a popular shopping and tourist destination. 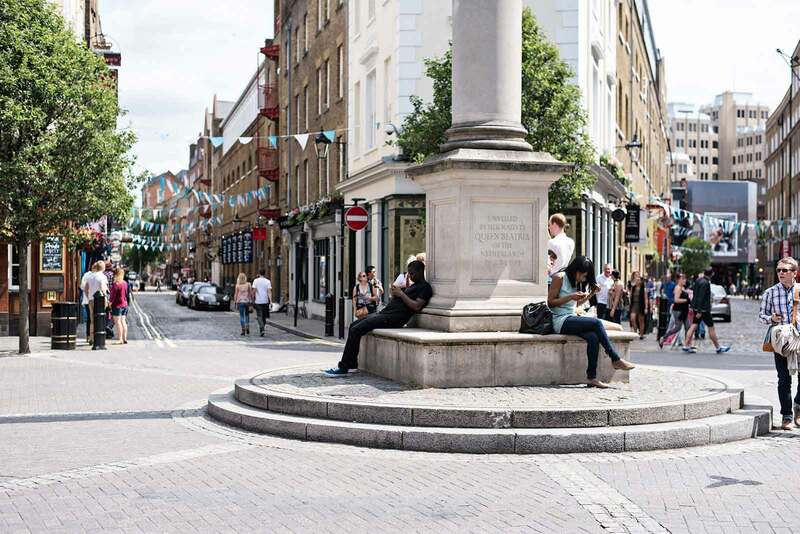 Located between ‘Theatre Land’ and ‘The West End’, it’s becoming an increasingly popular location for relaxing or winding down after a day of food, shopping and theatre. 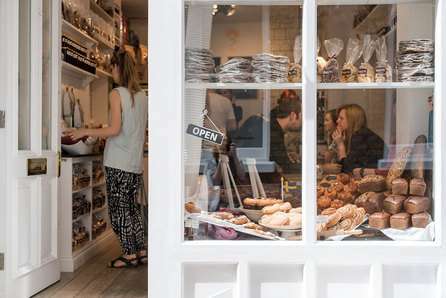 With hidden gems and regular pop ups passing through you’re sure to find something to meet your needs on any given day. 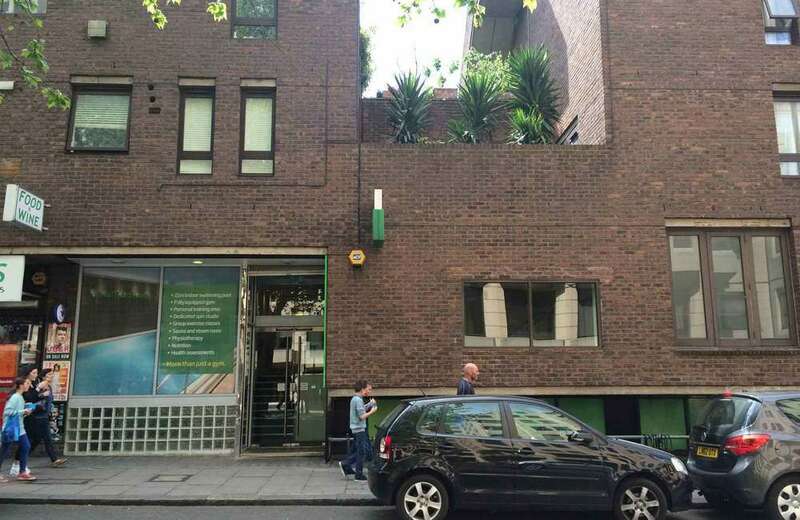 Whatever your level of fitness, whatever your goals, this friendly, sun-lit warehouse gym located in Covent Garden Square has something for everyone. 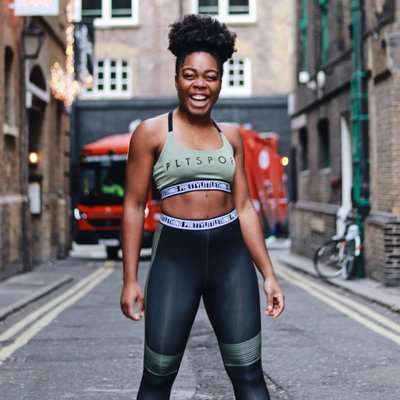 With a 100 station gym, a huge selection of free weights, spin studio, basketball half court and a wide range of classes, including the Les Mills offering, you’re spoilt for choice. 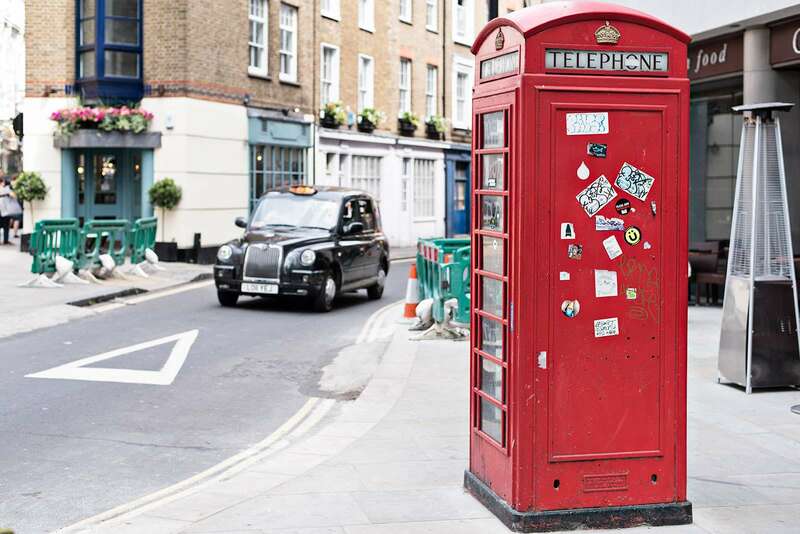 The Canadian apparel brand opened their flagship European Store right in the heart of London’s Covent Garden. The Long Acre store offers complimentary yoga classes on the weekend taught by the finest yoga teachers you can find in the city. 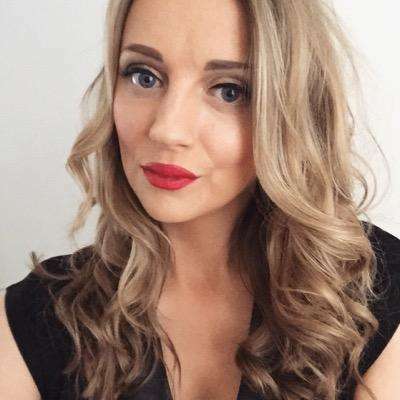 They also offer a mid-week ‘run club’, led by a brand Ambassador, along with passionate staff. Their staff has a wealth of knowledge from being highly active individuals, with most being health & fitness professionals. Lululemon London is also known to host some of the most epic yoga events in London. Oasis Sports Centre is situated in the heart of London’s West End, providing London’s only all year outdoor heated swimming pool. The centre also boasts a range of sports facilities including, squash courts, gym, group exercise classes, additional indoor pool and sauna. 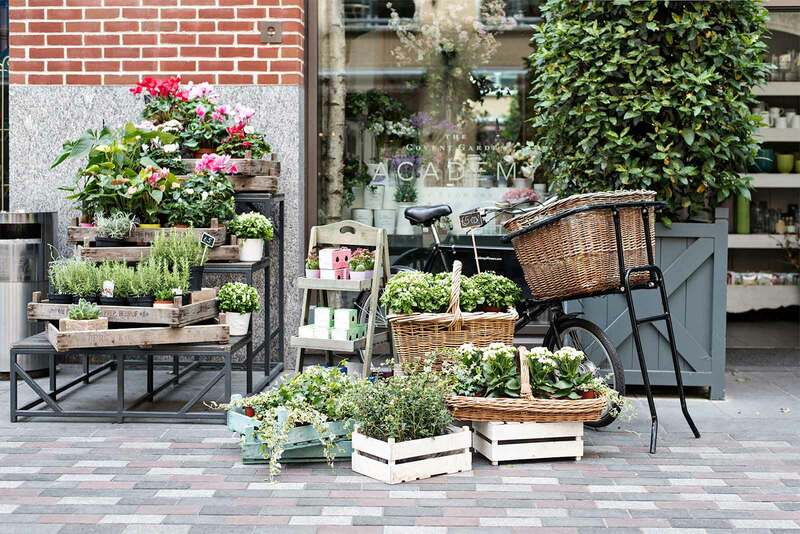 Open until late evening during the week, there’s plenty of time to get your shopping done before you work up a sweat. If it’s a party vibe and a good looking crowd you’re looking for, Gymbox is the gym for you. 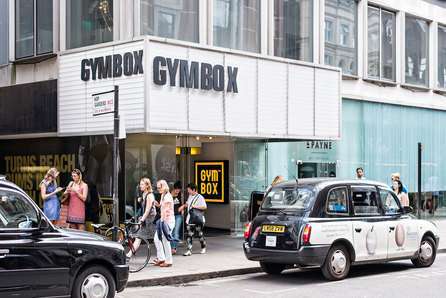 They truly make sweating enjoyable, located one minute from Holborn tube station or 5 minutes from Chancery Lane. Resident DJs spin the tunes while you work-out / dance (*optional*) on the gym floor. With a studio timetable packed full of unique classes (try Tour de Holborn – a unique take on indoor cycling), a boxing ring and functional fitness, there’s something to tickle anyone’s fancy. 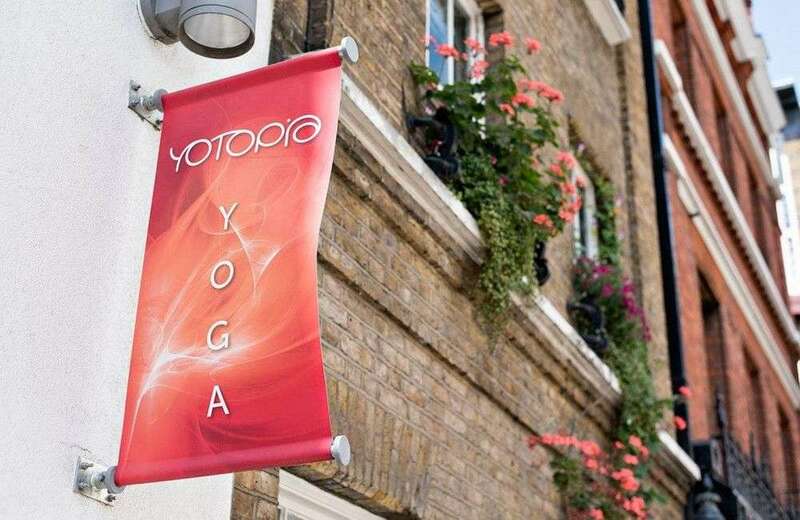 A very bright and airy venue – full of peace and tranquility, Yotopia offers a variety of yoga, Hot Yoga and Pilates in this central location. With two modern studios and mats provided free of charge, you can even rent a yoga outfit and hot towel from reception! With plenty of Level 1 and open classes on the schedule, you’ll feel welcome whether you’re a seasoned yogi or not! 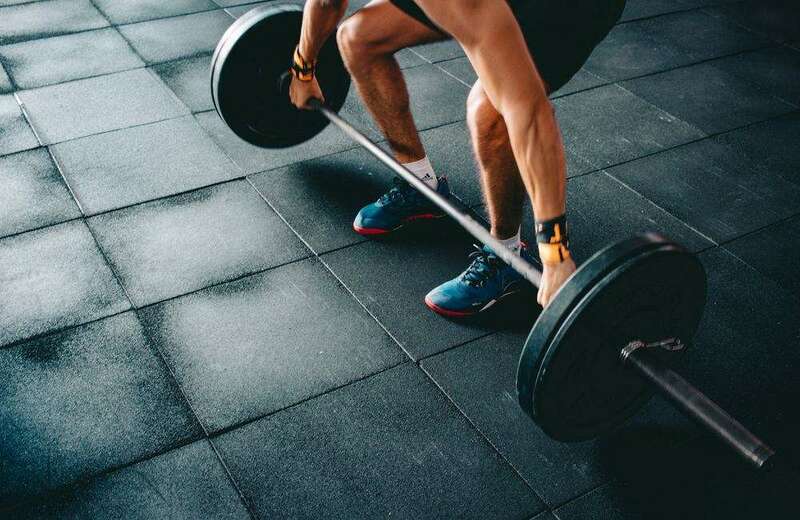 This Fitness & Wellbeing Centre prides itself on having an innovative new approach with a dedicated team of clinically trained health experts who begin your journey by leading you through a 12 point Health MOT. With two studios plus a dedicated indoor cycling studio, there’s an abundance of choice when it comes to classes, including yoga, Les Mills and Pilates. The classes even spill over in to the swimming pool, with Swim Fit sessions dedicated to improve fitness in the water. 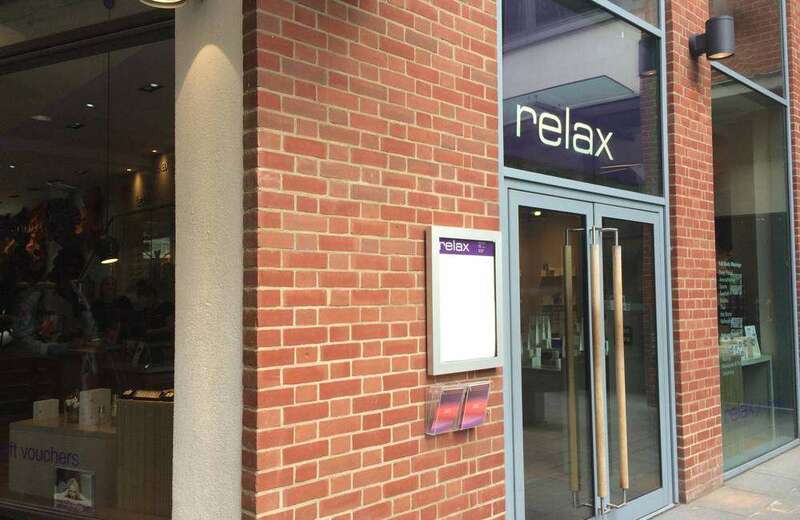 Relax is the Covent Garden destination for massage and beauty treatments. Open seven days a week, you can drop in for a quick chair massage in between your other commitments, or book an indulgent couple’s massage on the first floor, which is an oasis of tranquility. 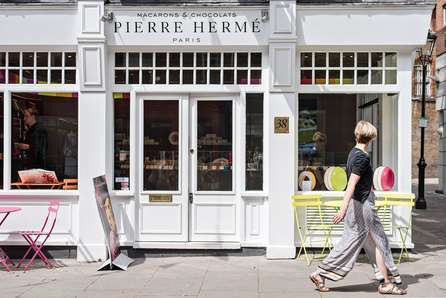 With luxurious treatment rooms, showers and a stunningly spacious lounge overlooking St. Martin’s Courtyard, you’re bound to forget the hustle and bustle of the busy shopping area. 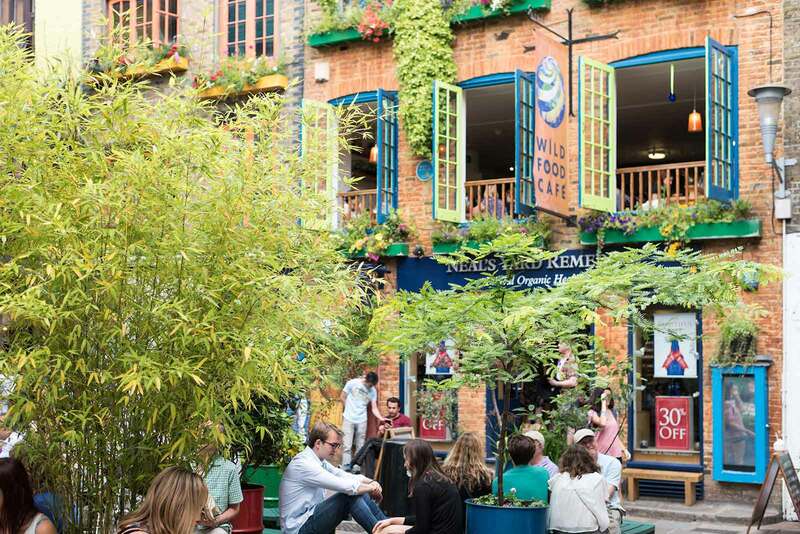 SIX3NINE is a wellbeing secret in the heart of London. 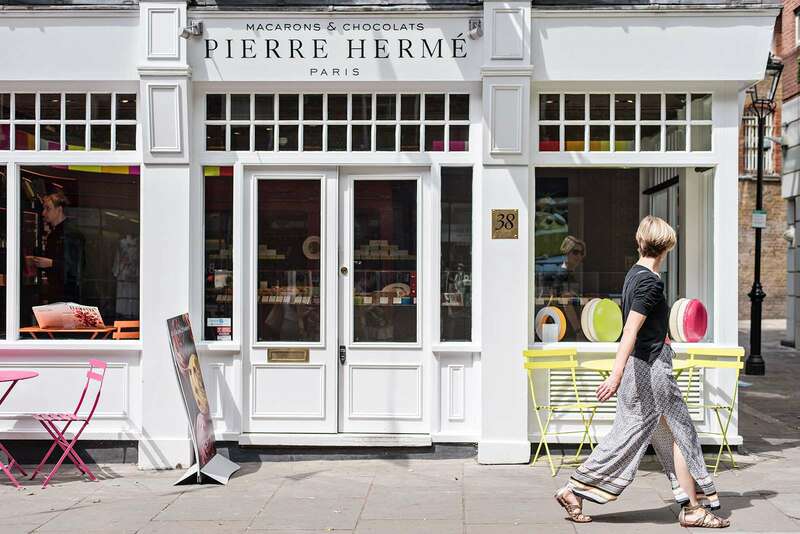 Based in the heart of Covent Garden, their approach is simple. No gimmicks, no fads, just a passion driven scientific approach to personal training that will get guaranteed results. With a strong emphasis on free weight training there is not a treadmill in sight! The space is open and free of excessive equipment, providing you the perfect environment to move in. Hidden behind a discreet grey door is the promise to get you fitter, while fixing those niggling aches and pains through thorough assessments from professionals. 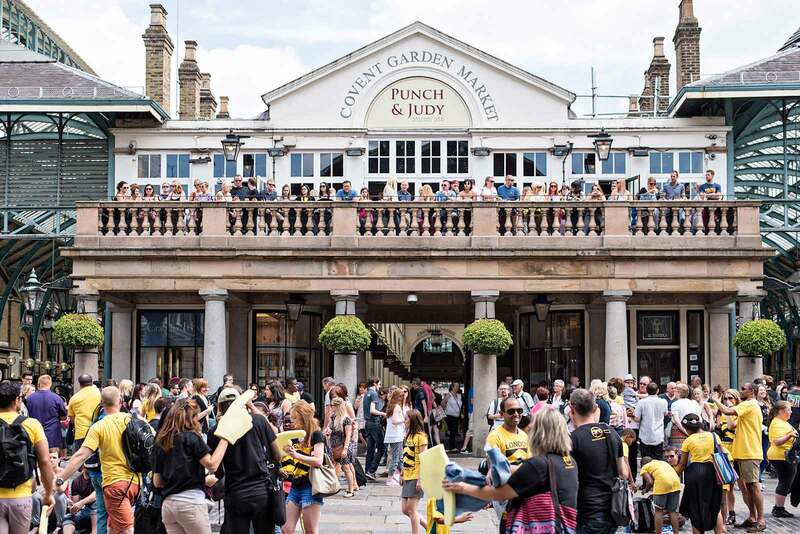 Covent Garden is one of London’s busiest neighbourhoods, attracting tourists and locals at any time of the day with its many shops, theatres, restaurants and hotels. 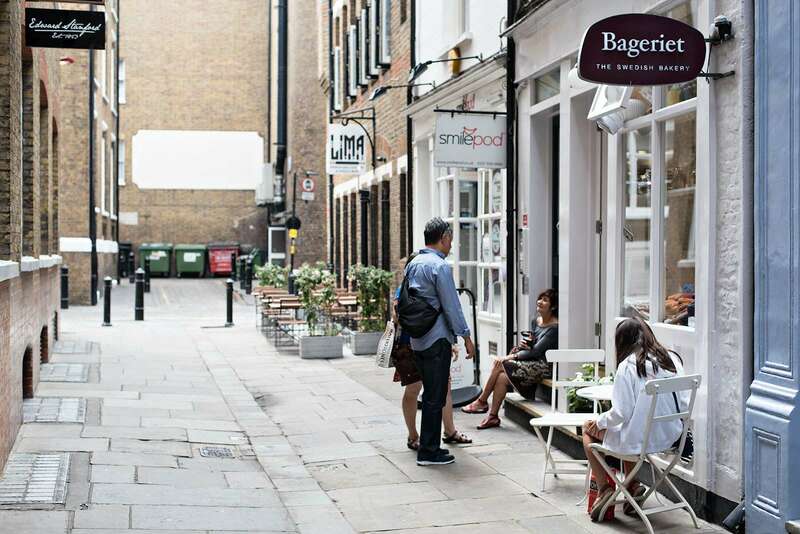 Food wise, there are plenty of places to choose from, including the Covent Garden piazza (where you can find New York’s famous Shake Shack burger), through to tucked-away lanes, which hide little gems (such as Bageriet and Lima Floral). Bageriet is a Swedish bakery in the heart of Covent Garden. It’s a cute little café with just a few seats inside and outside and a cozy atmosphere. 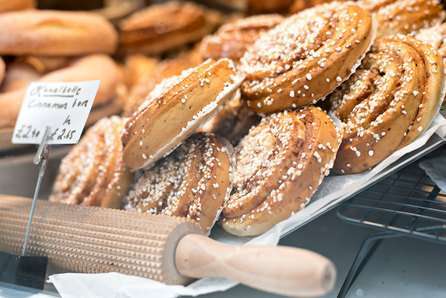 A must try are the Cinnamon Buns, but also the traditional Prinsesstårta (Princess Cake), a light sponge with raspberry jam, vanilla custard and fresh cream, covered with marzipan. 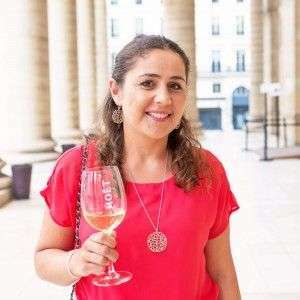 Le Garrick restaurant and wine bar celebrated 25 years last year and is renowned for its excellent regional French food, classic wines, friendly service and warm atmosphere. 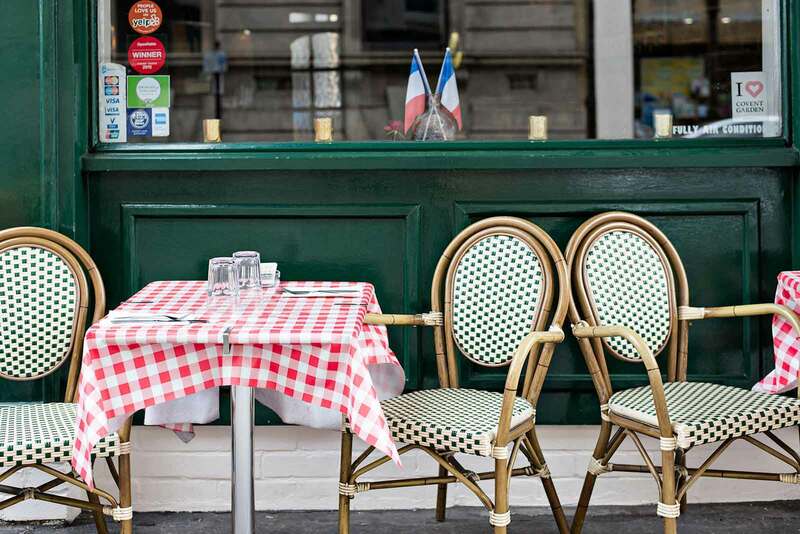 There is a ground floor restaurant with outdoor tables to enjoy the sights of Covent Garden, but also an intimate and candle-lit dining room downstairs. Perfect for a date! 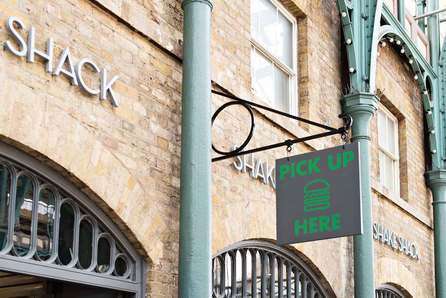 Born in New York City’s Madison Square Park in 2004, Shake Shack is a critically acclaimed burger chain with a cult following around the world. In London it’s located in the historic Market Building in Covent Garden. What can you expect from Shake Shack? Fast food made with high quality ingredients: burgers, hot dogs, cheesy fries; craft ales from London breweries; frozen custard concretes made with baked goods from St John Bakery, or chocolate mix-ins from Paul A. Young. Timberyard in Seven Dials offers a cozy lounge area with tables and sofas, plug points and free Wi-Fi. They use a fruity and sweet coffee blend – called Jabberwocky – for all espresso based drinks; single origin coffees are also on offer and change seasonally. 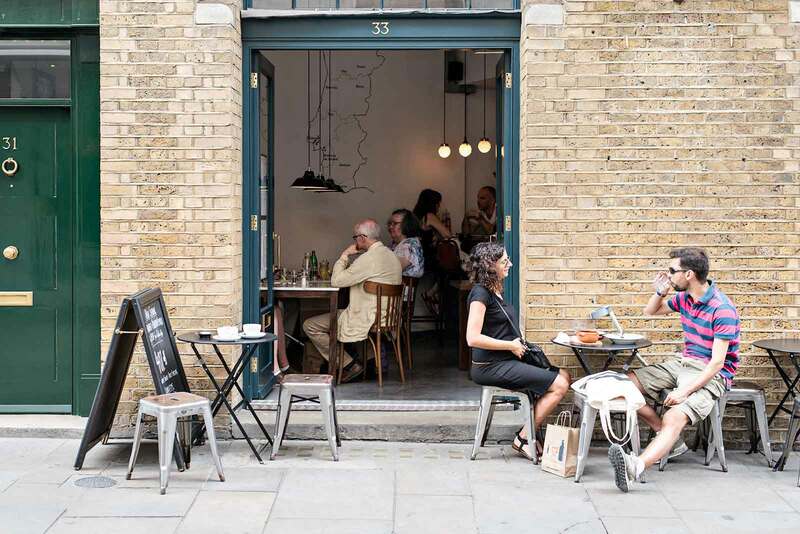 The food selection at Timberyard ranges from breakfast dishes (granola, porridge, buttered toast and so on) to lunch, such as grilled sandwiches, soups, salads and quiches. 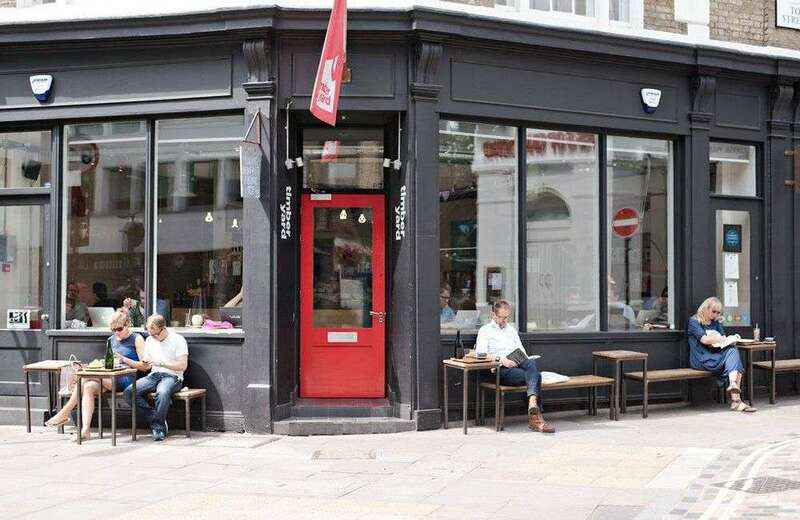 Lima Floral is the sister restaurant to Lima in Fitzrovia, a Michelin-starred Peruvian restaurant by chef patron Virgilio Martinez. 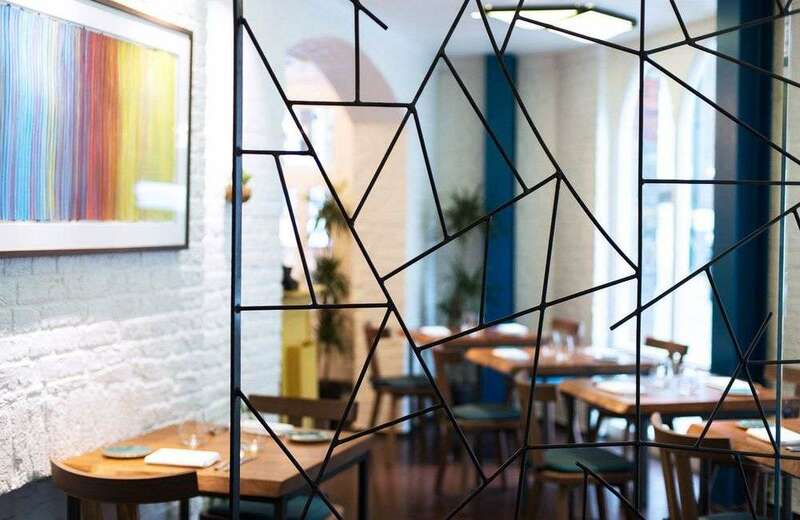 The colourful interiors can brighten up even the gloomiest of London days, while the Pisco Bar downstairs is a great place to start an evening in the West End. 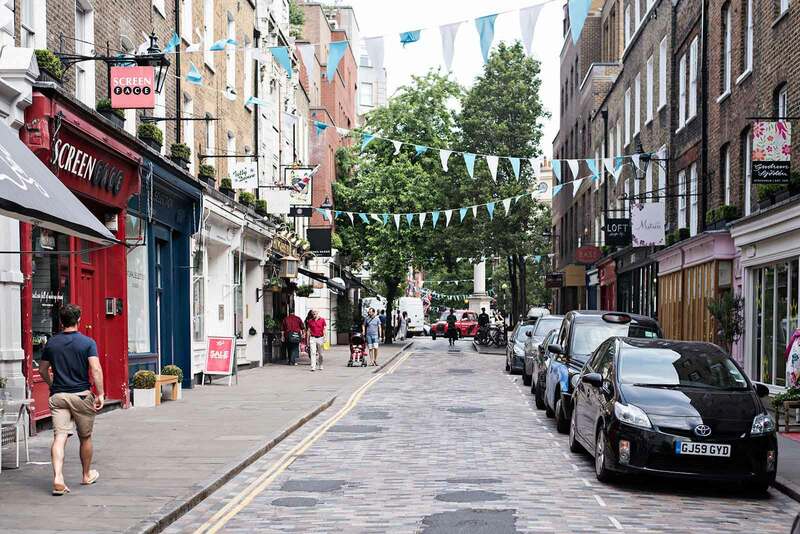 Covent Garden is a hot spot for shopping. 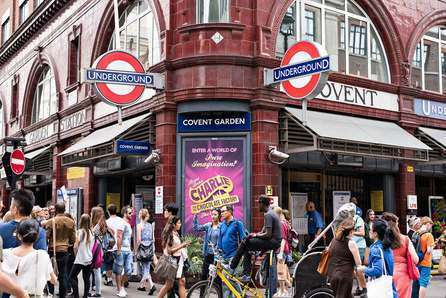 Whether its fashion stores, techie shops or delicious produce from the food markets you’re after, Covent Garden has it all. 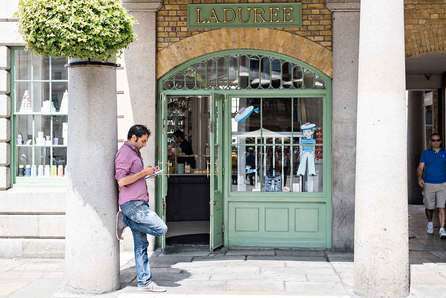 Covent Garden is a hot spot for shopping. A stone’s throw from the Underground station, you can stroll down to the Piazza with its mixture of shops, including Chanel & Burberry beauty stores as well as more unique boutique stores. Within the vicinity, there are fashion stores a plenty, as well as the huge Apple store space for all your tech needs. Also, look out for the food markets on the cobbled square. 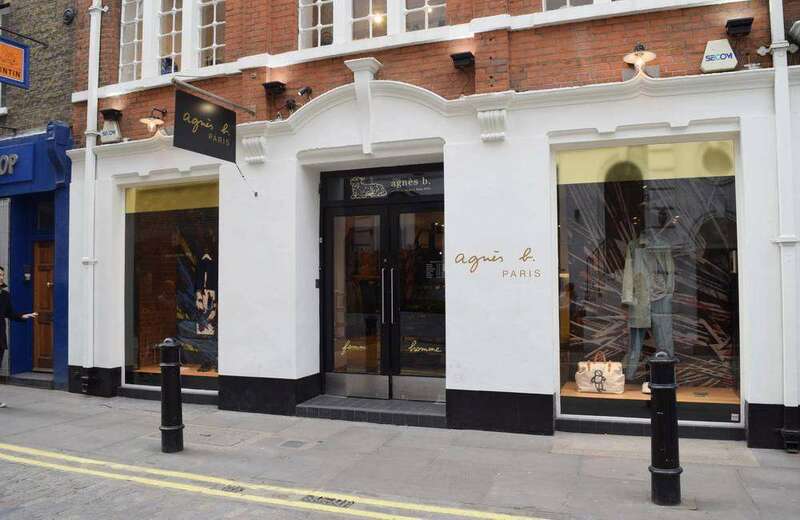 Agnes B was founded by Agnes B in 1975 when she opened her first shop in Paris. 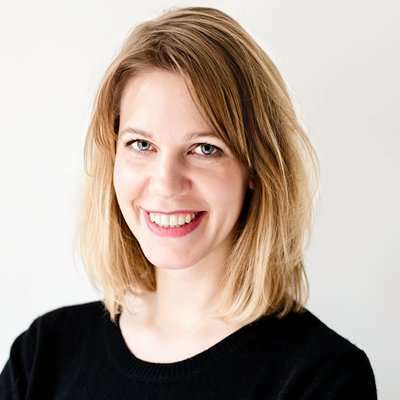 Since then she has designed clothing that bears her name for men, women and children, for over 100 stores across the world. 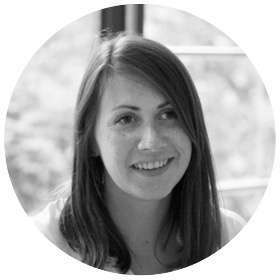 She also has a range of accessories, watches, jewellery and sunglasses for the fashion conscious amongst us. 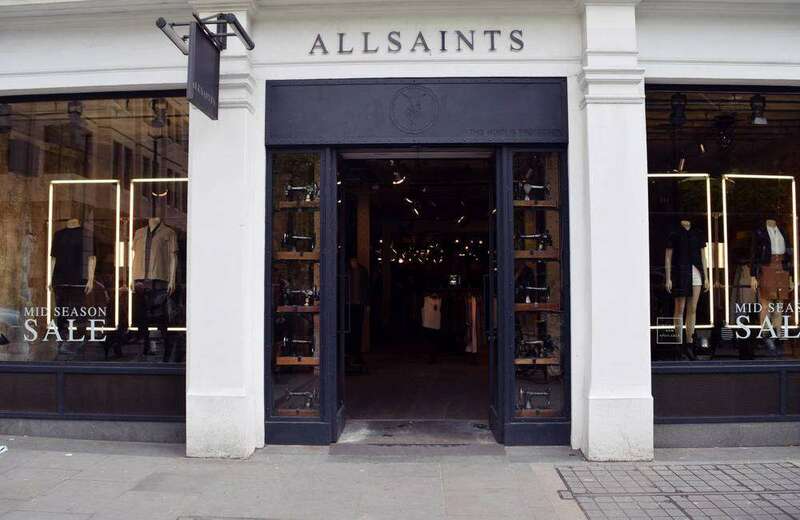 All Saints has become a premium fashion retailer and is popular for its casual, chic and basic clothing style. Stocking clothing for women and men, the brand has various ranges, as well as shoes and accessories. This Covent Garden branch has a large selection of clothing and ‘stand-out’ wooden changing rooms, making it clear to see why the brand has a celebrity following. 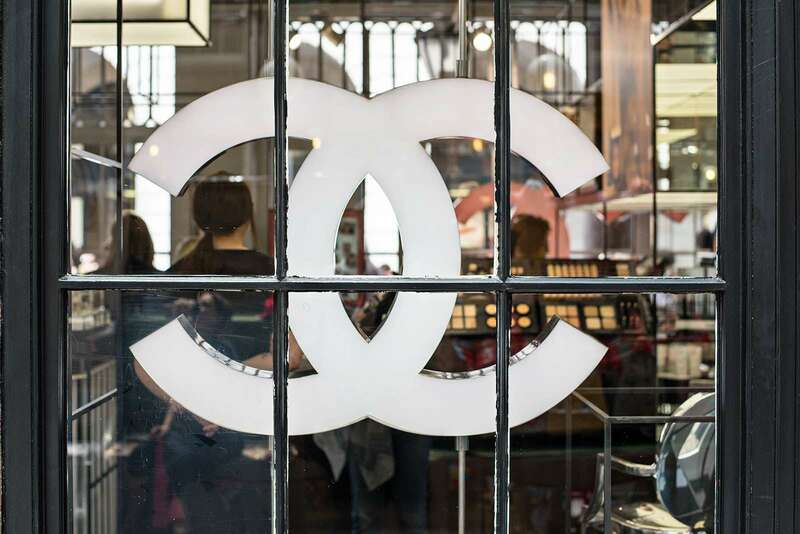 If you want to avoid the beauty counters at department stores, then Chanel in Covent Garden could just be for you. 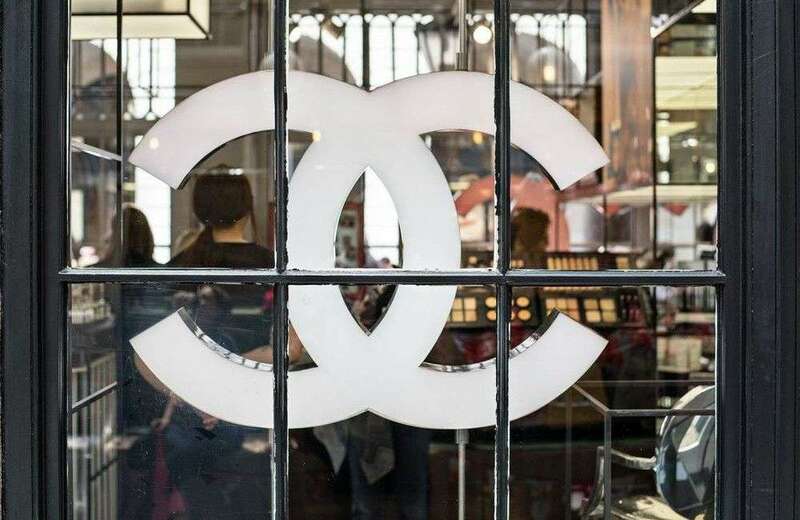 Dedicated to all things Chanel beauty, this store has makeup, cosmetics and fragrance plus the opportunity to get expert knowledge and a makeover from one of the Chanel makeup artists. Ladurée is a luxury French bakery, most famous for its delicious macaroons. 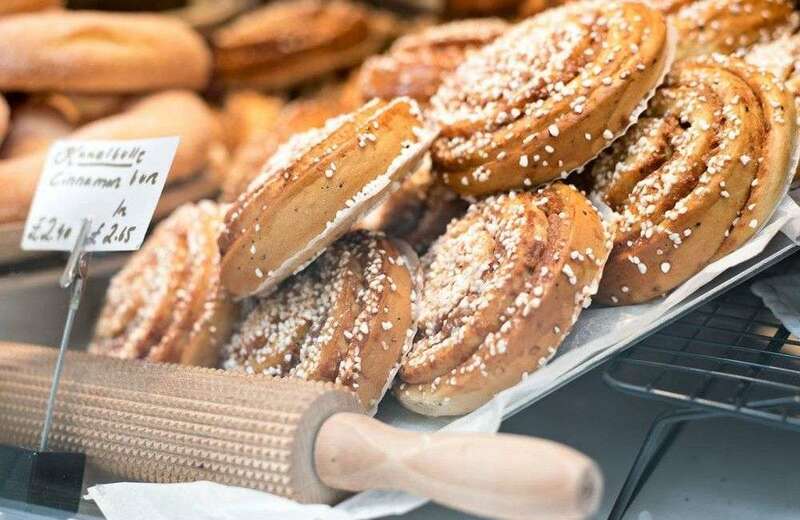 They sell hundreds of them from this bakery in Covent Garden and you can see why. They come in all manner of colours and flavours and make the perfect gift in one of their gift boxes. 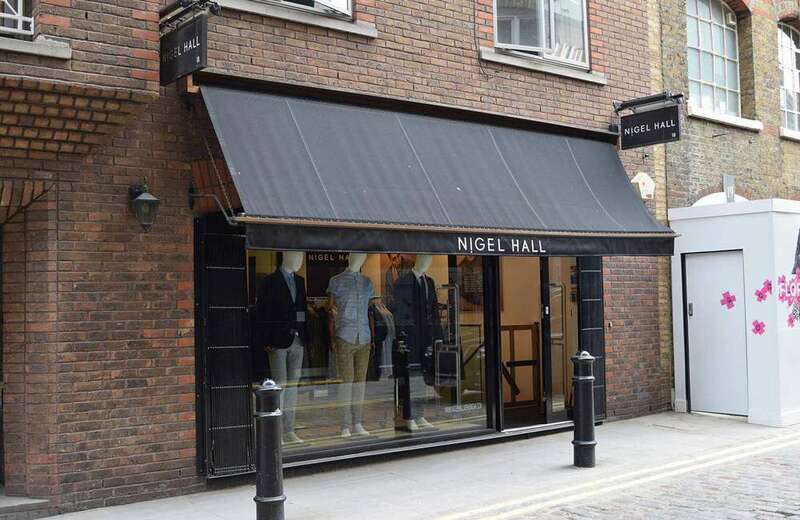 Nigel Hall has one of its stand-alone stores in Covent Garden and with the brand’s aim is to produce beautiful, wearable clothing season after season. This menswear label has men covered for all things fashion, with a vast selection of sweaters and knitwear, shirts, trousers, outwear and accessories, for any fashion conscious gent. 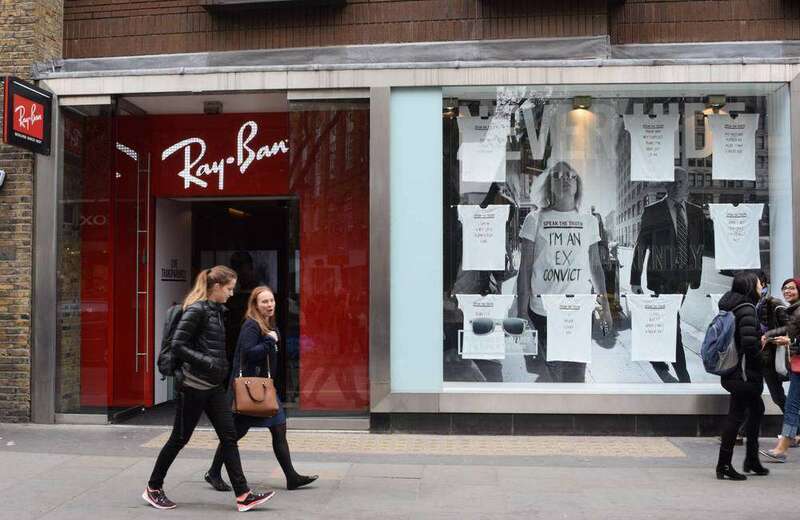 Ray-Ban is the iconic eye-wear brand offering sunglasses and eye-wear for men, women and children. Choose from various styles including, Aviator, the classic and popular, Wayfarer, or the more vintage looking, Clubmaster. 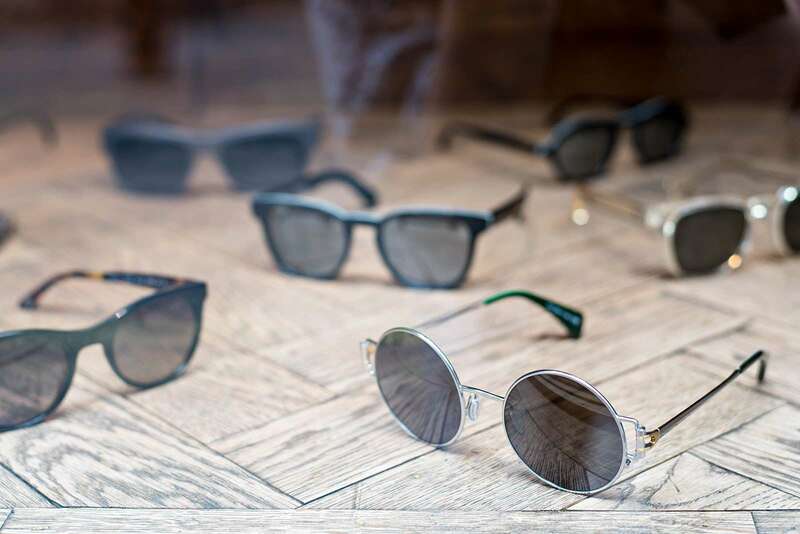 There are many options to choose from, including multiple varieties of lenses, from mirrored to polarised, classic and more. 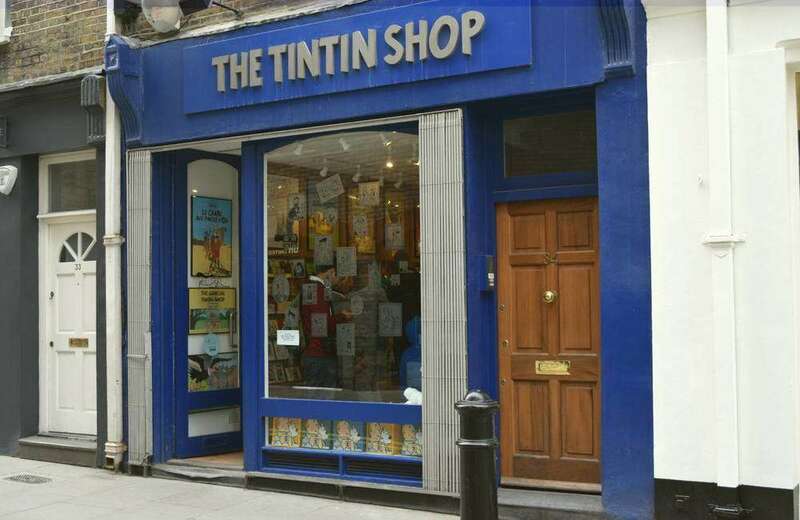 The Tin Tin Shop in Covent Garden is the official store for the comic book character. In store you’ll find all things dedicated to Tin Tin, from the original comic books themselves to posters and mugs and other related gifts and toys. If you’re a fan of the iconic comic book hero, the shop is a must visit. Initially a market garden for Westminster Abbey, and then for the British Monarchy, Covent Garden has a history of growing and selling natural produce, reflected in its remaining architecture. 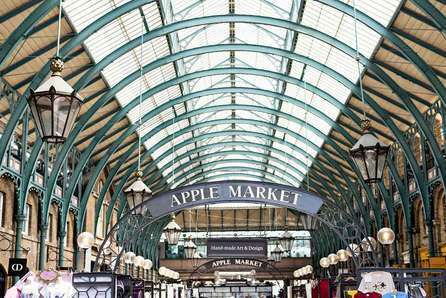 Whilst the fruit and vegetable trading New Covent Garden Market is located in Nine Elms near Vauxhall today, the former market buildings on the opulent plaza remain at the heart of this central London area. Now predominantly pedestrianised, Covent Garden is a popular place to explore, shop, eat and drink. 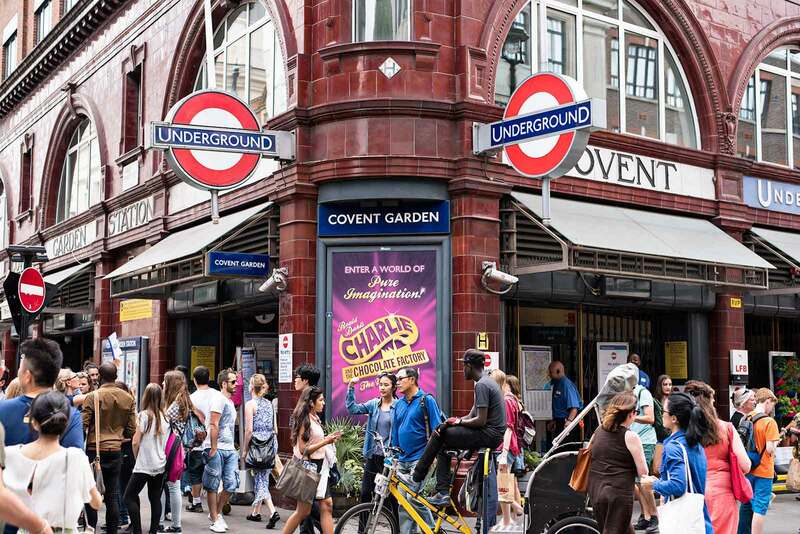 Covent Garden is also at the heart of London’s famous West End and is the location of more than a dozen theatres including the magnificent Royal Opera House, drawing crowds of drama and musical fans every day. 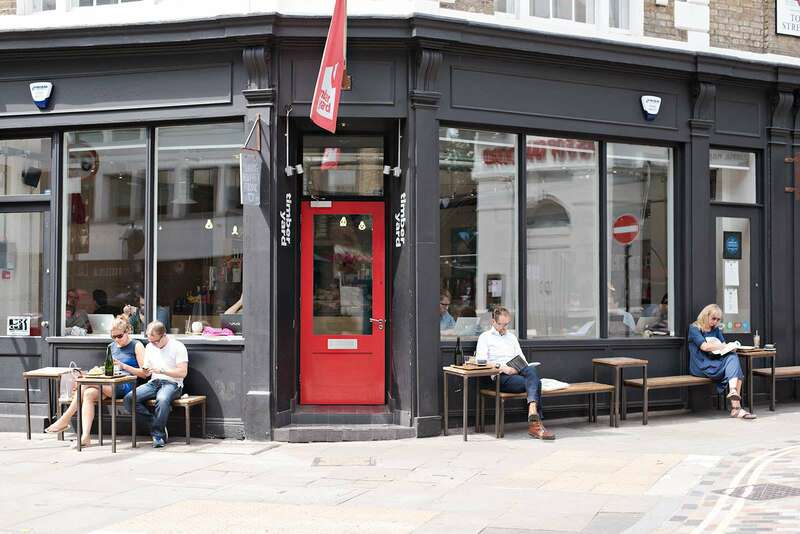 Tucked away on Earlham Street, close to Seven Dials, is this little bar and cafe, providing authentic tastes of Portugal. 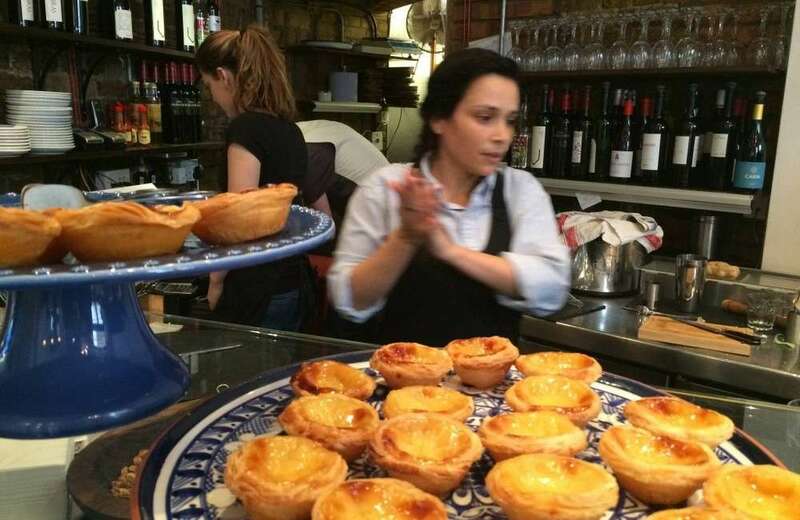 The friendly staff are equally happy to feed you traditional heartening meals, a simple pastel de nata accompanied by a decent coffee, or to direct a thirsty patron through their list of Portuguese wines. The vast white facade on Bow Street announces the presence of the Royal Opera House to all passers-by. But inside are a range of hidden gems, invisible to those outside on the street, and even to some show-goers. 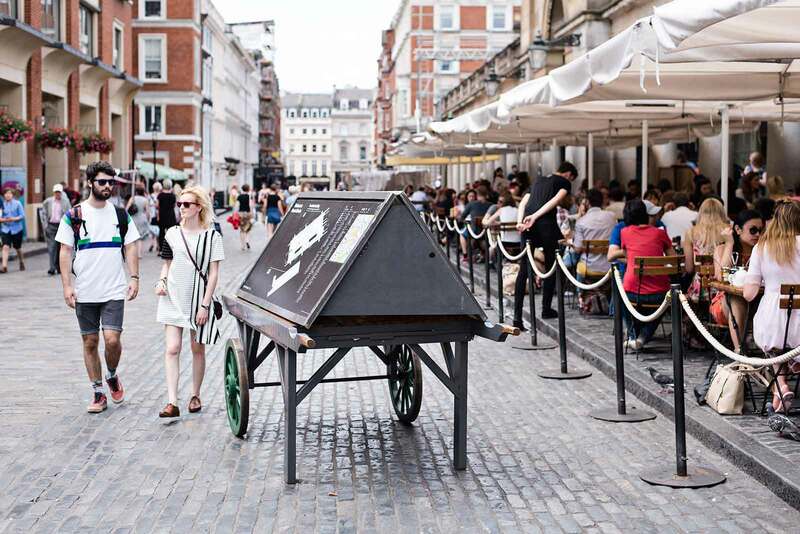 There is a whole second theatre – the Linbury Studio Theatre, a champagne bar inside the stunning Paul Hamlyn Hall, and a roof-top terrace where you can look down on the whole piazza below. 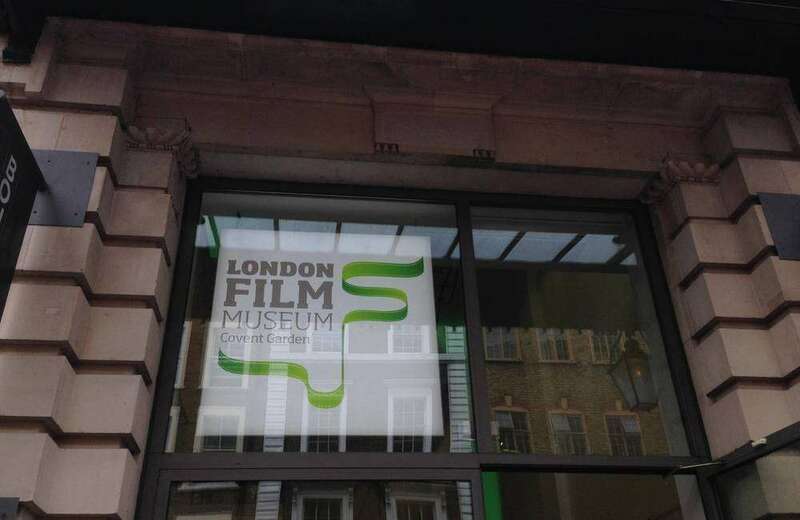 While Covent Garden still mourns the loss of the excellent Theatre Museum that relocated to the V&A Museum in 2007, in 2012 it gained the new London Film Museum. Housed in the former Flower Cellars on Wellington Street, since opening the museum has created iconic exhibitions, including the current show ‘Bond in Motion’ exploring the cars, boats and unique machines that have appeared in 23 James Bond movies. Multiple locations across Covent Garden including: Shelton Street (for the Cambridge Theatre), Floral Street (for the Royal Opera House), and Catherine Street (for the Theatre Royal, Drury Lane). 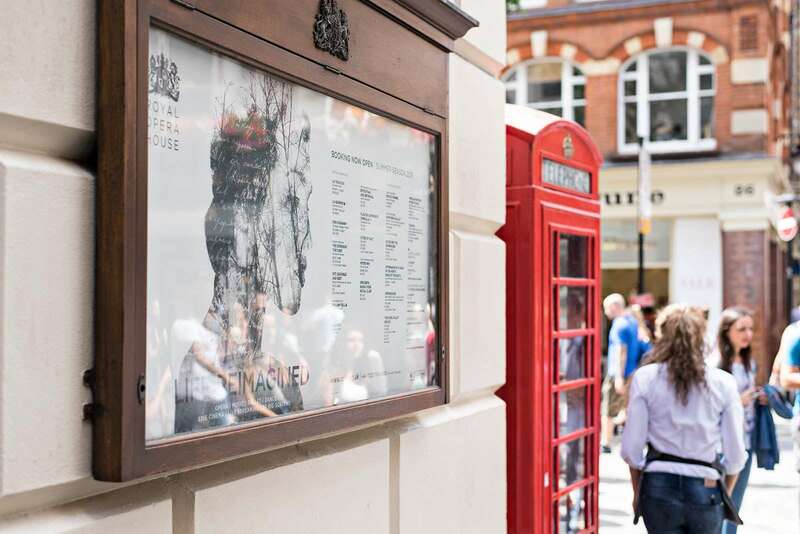 Tucked away on quiet side streets, away from the bright lights of the theatre’s frontages are the stage doors of Covent Garden. 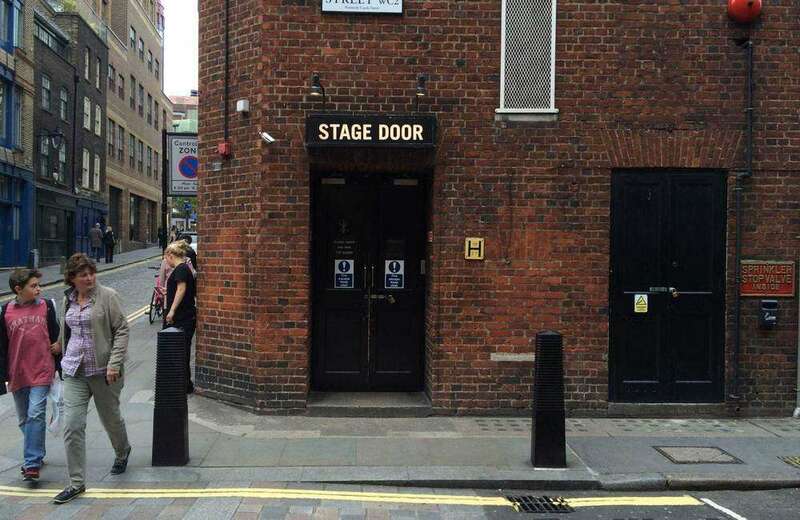 Some have more prominent signage than others, but for the true theatre-fan these doors are gateways to a magical backstage world. After shows, the actors typically come out of stage doors to sign programmes and meet their fans. You just never know who you might spot popping in and out of these doors. On the edge of the piazza sits a fine church, in front of which street performers often attract intrigued crowds. St Paul’s is known as ‘the actor’s church’, and was designed by Inigo Jones in the seventeenth century. 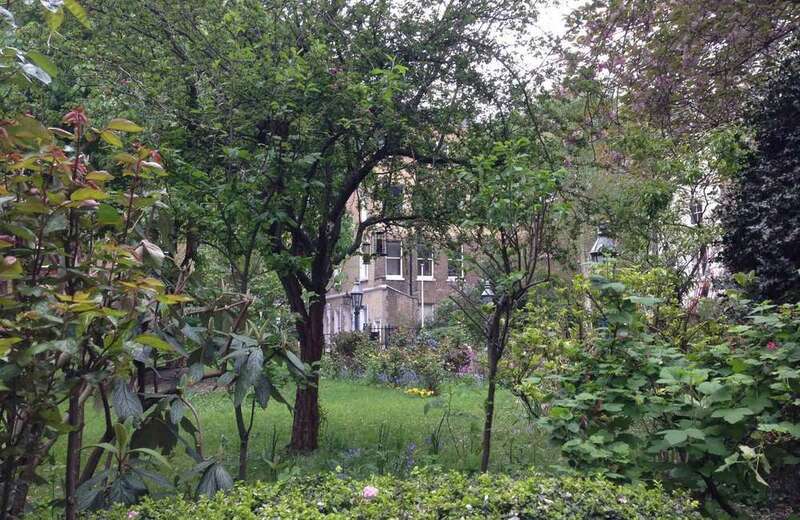 On Henrietta Street is a hidden entrance to its tranquil garden. Full of old trees, well-tended flower-beds, benches for weary visitors, and a friendly duck, it is a haven for those escaping Covent Garden’s tourists and shoppers. Like the look of Covent Garden?